DAWSONVILLE, Ga. – Veteran law enforcement officer Billy Carlisle announced today that he will run for the Dawson County Board of Commissioners this summer. He will run for the District 3 seat. Dist. 3 Commissioner Jimmy Hamby has announced he will not seek a third term next year. Carlisle, 56, began his law enforcement career as a patrol officer in 1987. During his time as sheriff, he was able to grow the department from 30 employees to 115. He was also instrumental in helping to bring several programs into the county, working with children. Through his leadership, many programs were developed for the senior citizens as well as the adults of Dawson County. 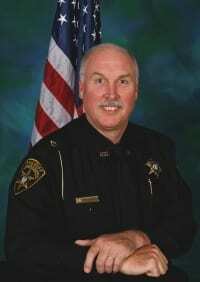 He retired in December 2016 after 20 years as sheriff. Carlisle said the county is in good shape right now. Carlisle said the relationship between the sheriff’s office and county government is not good right now. “Both sides need to understand it is a give and take relationship, and they need to work together for the benefit of the citizens,” Carlisle added. The dispute between Dawson County and Sheriff Jeff Johnson heads to Superior Court on Tuesday, Jan. 30. Johnson claims the $8,273,080 budget approved by the Board of Commissioners is not adequate for him to perform his duties. Carlisle said during his term as sheriff, he relied on the county’s Purchasing Department and procedures. Qualifying for elected offices will take place in March with the election set for July. Carlisle and his wife, Cathy, are members of Lighthouse Baptist Church where he is a member of the church’s security team and she serves in the children’s nursery. DAWSONVILLE, Ga. – Former Dawson County Sheriff Billy Carlisle, who retired just one year ago, announced today that he will run for the District 3 seat on the Board of Commissioners. The seat is currently held by Jimmy Hamby, who announced recently he will not run for reelection when his second term ends in December. DAWSONVILLE, Ga. – The Dawson County Board of Commissioners unanimously rejected a request to reclassify the Administrative Assistant position in Dawson County Emergency Services to Executive Secretary. The Administrative Assistant is a 15-year employee and the sole support staff of the administrative team, responsible for processing of all personnel paperwork, approximately 110 positions, accounts payable, ongoing budget management, quality assurance for all fire and EMS reporting (over 3000 calls per year), state reporting of fire reports, customer service and front desk functions. EMS Director Lanier Swafford said the position has performed the duties of two administrative positions since the other was frozen in 2010. Following the recently-completed wage and salary study, the administrative assistant appealed her pay grade and title to County Manager David Headley who indicated the position may have been wrongly classified. If approved, the change in grade would have cost taxpayers $7,577 annually, which the department indicated could be covered without increasing the budget. But Commissioner Chris Gaines, who made the motion to deny, pointed the wage and salary study had come at significant cost and he felt the county should follow it’s recommendation. By a 4-0 vote, Commissioners approved a request by Robert and Brittany Goss for a conditional use permit to allow a mobile home on property that is currently zoned Residential Agriculture (RA) on less than five acres. Commissioners also approved a request by former Sheriff Billy Carlisle to amend a stipulation of zoning requiring a manufactured building he owns to be removed. The property is currently zoned Commercial Highway Business (CHB). Headley received the board’s unanimous support for appointment to the Georgia Mountains Regional Commission for a one-year term. DAWSON COUNTY, Ga. — After months of political campaigns, voters will have a chance to vote for their favorite federal, state and local candidates when advanced voting begins Monday (May 2) in Dawson County in the May 24 General Primary. Advance voting runs through May 20 (Mon. – Fri.). All advanced voting takes place at the Dawson County Board of Elections Office, 96 Academy Avenue, Dawsonville. At stake at the federal level is the Ninth District Congressional seat where incumbent Republican Congressman Doug Collins has come under fire from conservatives for his support of President Obama’s Omnibus bill and former House Speaker John Boehner. The challengers are former 10th District Congressman Paul Broun, Lanier Tea Party Patriots founder Mike Scupin, White County educator Roger Fitzpatrick and retired Army and National Guard Brigadier General Bernie Fontaine. At the state level, District 51 State Senator Steve Gooch of Dahlonega faces a strong challenge from John Williamson, co-founder of the Gilmer County Tea Party. Locally, voters must fill two vacant seats on the Board of Commissioners after Chairman Mike Berg and District 2 Commissioner James Swafford decided not to run again. Bill Thurmond and Peter J. Hill will compete for the Chairman’s seat and Chris Gaines and Tim Davis are the candidates in District 2. In District 4, incumbent Julie Nix has drawn a challenge from Heather Hulsebus, former Chairwoman of the Dawson County Republican Party. There is also a four-way race to replace retiring Sheriff Billy Carlisle and all four candidates have many years of experience in law enforcement. 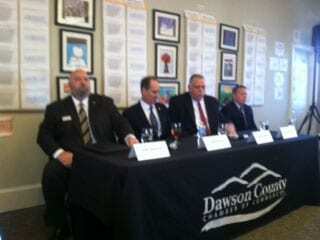 The candidates are Frank Sosebee, Jeff Johnson, Jeff Perry and Tony Wooten. The Tax Commissioner race also features four candidates, Andi Henson Juliette, Karin McKee, Johnny Glass and Nicole Stewart. No Democrats have qualified in any of the races, so the winner of the General Primary will take office in January. Sheriff’s Candidates Debate in Dawson Co.
DAWSONVILLE, Ga. — Dawson County will lose a wealth of crime fighting experience when highly respected Sheriff Billy Carlisle retires after 18 years as the county’s top cop at the end of the year. But residents can take comfort in the fact that four outstanding and highly experienced officers have stepped forward to campaign to become Carlisle’s replacement. The four, Jeff Johnson, Jeff Perry, Frank Sosebee and Tony Wooten, presented their credentials and laid out their vision for the future during Thursday’s candidate forum sponsored by the Dawson County Chamber of Commerce. Major Johnson, has 23 years of law enforcement experience with supervisory experience in internal affairs, detention, patrol and courts. Perry is a graduate of Georgia Southern University and is currently pursuing a master’s degree in Criminal Justice at the University of North Georgia. He retired January 1, 2015 with 30 years service. The last 18 years of his career he was a Chief Parole Officer in charge of seven counties in northwest Georgia. Frank Sosebee has worked in law enforcement for 32 years including stints at Hall County Sheriff’s Office, Dawson County Sheriff’s Office and the Hall County Correctional Institute where he is currently the chief of security. His responsibilities include training, hiring, background checks and internal affairs investigations. 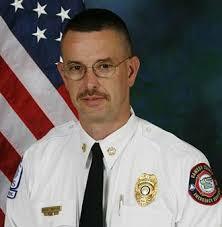 Captain Tony Wooten has worked in the Dawson County Sheriff’s Office for 17 years. 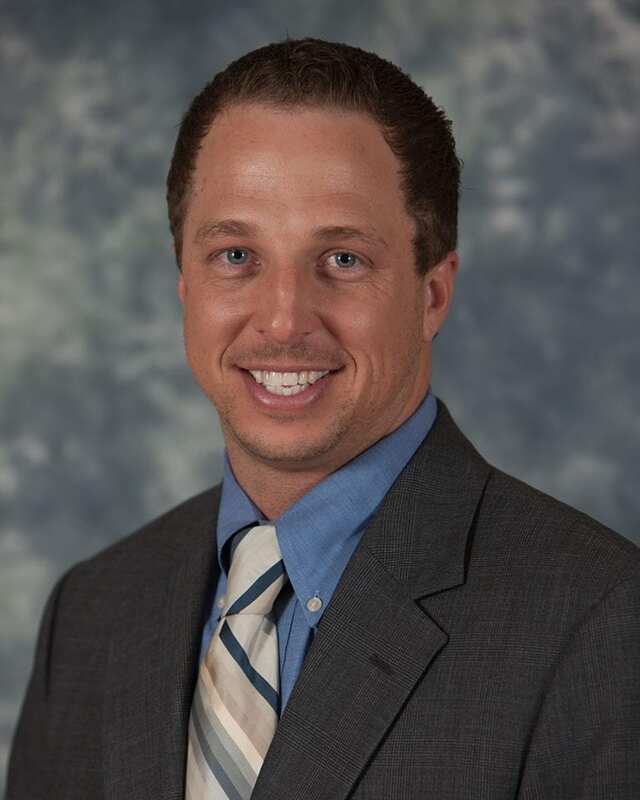 His experience includes managing the patrol division, investigations, public information, 911 communication, community policing, school resource officers, warrants and court services divisions. All four were asked a series of questions, including what experience they had in managing a budget as large as the Sheriff’s Office $7.2 million budget. Perry said he would implement results based budgeting. “If we don’t get results from something we’re funding then we won’t fund it anymore,” he said. He added that he once managed three offices and had to make a tough decision to close the offices and let people work from home and take their cars home. “We were able to return $2 million to the general fuund,” he said.